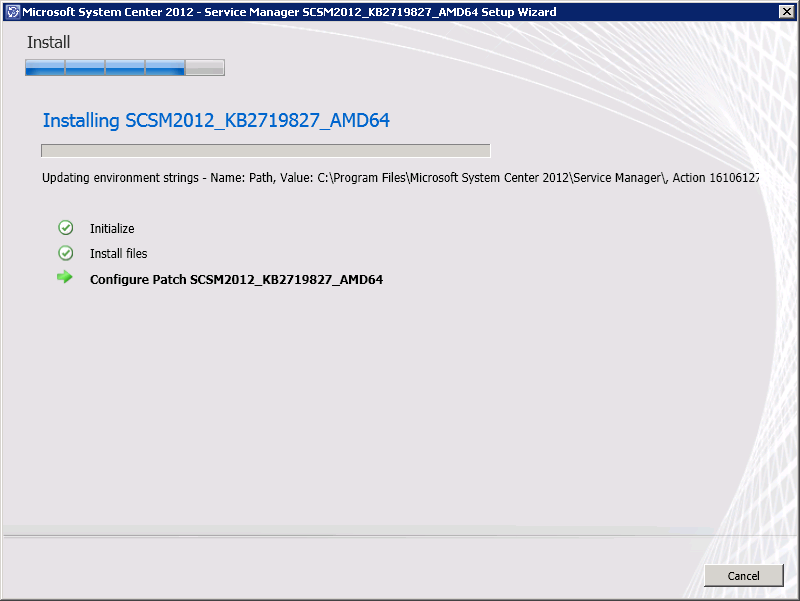 With Update Rollup 2 for System Center 2012 having just been released I was flicking through the KB2706783 article to see what needed doing but noticed the Service Manager installation instructions were missing. 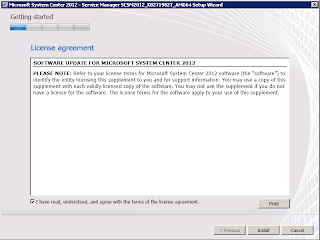 Also the download link given within the KB article doesn't presently work while writing this. Erm, thanks for that detailed instructions MS?!?!? Anyway, I've tested it within my lab and here's a couple of notes. 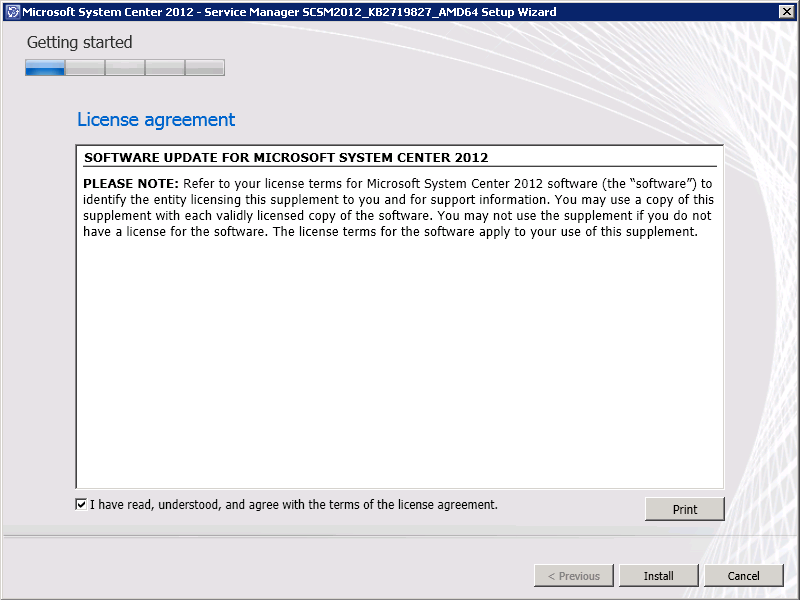 The install is pretty much an accept the license agreement, click install, wait and then click close routine. 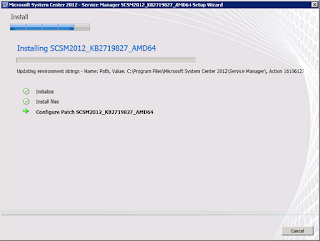 Don't panic if it gets stuck for a while on computing space requirements, mine did for a while but then continued. I ran the update on 3 separate servers. 1 holding my Management Server, 1 holding my Data Warehouse and 1 holding by Self Service Portal roles and it ran successfully on each and looking through the log files it does appear to have updated them so it looks like this update needs to be run on every server holding a Service Manager role. However this is all subjective and really needs clarifying by Microsoft. I'll update this post when I can get some more clarification.